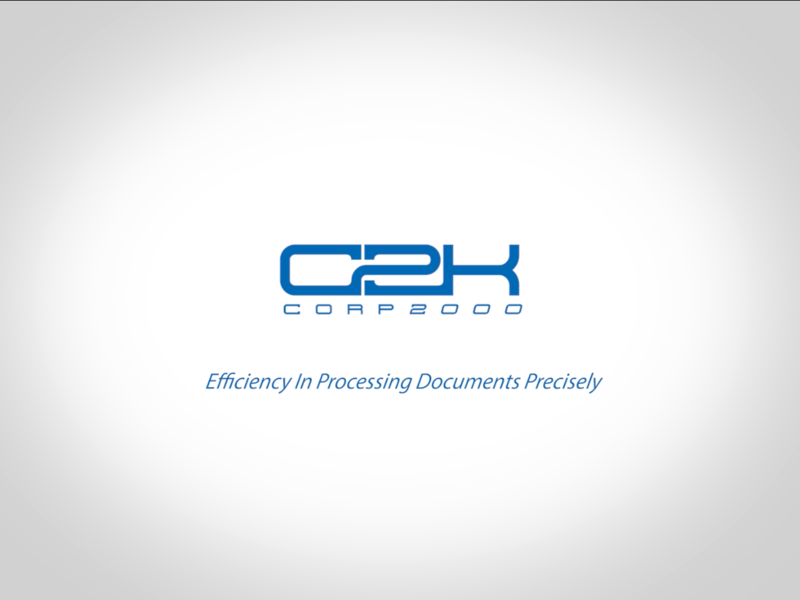 C2K can help you every step of the way when it comes time to file your business entity documents, making the process as simple and worry-free as possible. With our office conveniently located just blocks from the California State Capitol, your documents can be hand-delivered to the California Secretary of State up to six times per day. All filings and searches can be completed on a national, state, and county level, preventing you from spending hours of unnecessary research on compliance. Our staff has years of experience with the Secretary of State’s requirements for business entities, helping us expedite your filings and eliminate time-consuming complications. Wherever you are located, C2K has the skills and knowledge to file your business entity documents quickly and accurately. Filing all of the necessary paperwork for the formation of your business entity can be both confusing and time consuming. C2K will file all of the necessary paperwork for the formation of your business entity swiftly, affordably, and correctly. In order to amend the Articles of Incorporation of your business, a Certificate of Amendment must be prepared and delivered to the Secretary of State. Let C2K prepare and deliver your Certificate of Amendment. When merging corporations, a Certificate of Merger must be prepared and delivered to the Secretary of State. C2K will deliver your Certificate of Merger directly to the Secretary of State, wherever you are located. A Statement of Information must be prepared for the Secretary of State within 90 days of your Articles of Incorporation being filed. State laws also require limited liability companies and corporations to file Statements of Information annually or biennially. C2K can keep track of and file all of your Statements of Information, preventing the inconvenience of late fees. If at some point you need to change the entity type of your business, C2K can file all of the necessary paperwork for your state. When filed incorrectly, conversions can cost you substantially in tax fees. 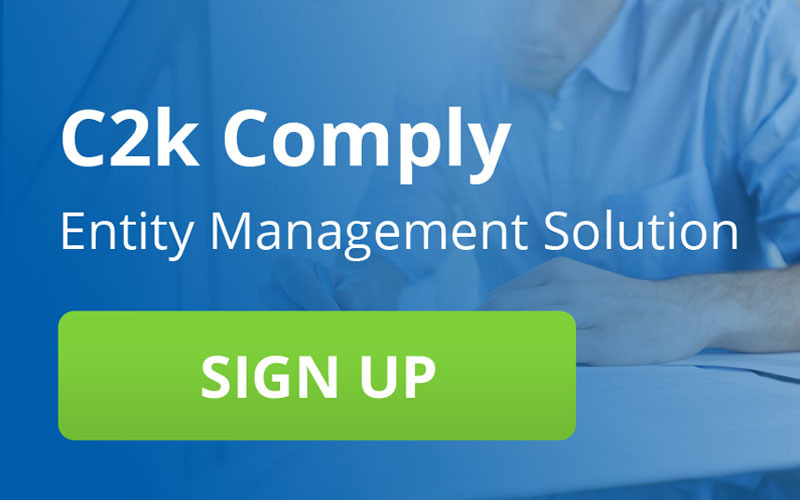 Avoid unnecessary tax penalties by using C2K to file your conversion paperwork. If you ever need to close your corporation or limited liability company, C2K can file all of the required paperwork for your state. Tax Clearance Certificates are sometimes required in Arizona, Michigan, Montana, New Jersey, New Mexico, New York, Ohio, Pennsylvania, Rhode Island, South Carolina, Tennessee, Texas, Utah, Washington, and West Virginia during the dissolution of your corporation or limited liability company. C2K can file your Tax Clearance Certificates with ease. Corporations, limited liability companies, limited liability partnerships, limited partnerships, and nonprofit corporations all must pay annual franchise taxes. C2K can expertly prepare your franchise tax documents. If your company is ever suspended due to unpaid taxes or failure to file annual documents, C2K can deliver your revivor documents to the Secretary of State. C2K can also prevent suspension of your business entities with out expert registered agents. An Apostille is a certificate used to authenticate business documents for use in other countries. C2K can prepare your Apostilles quickly and precisely. C2K can promptly prepare and deliver your Notice of Public Sale. C2K can search for trademarks and service marks as well as prepare your registration applications for them. Like an exceptional friend, C2K. is always there. C2K, Inc. has been Berliner Cohen’s “go-to” filing service and resource for over 12 years, and in all that time they have not failed in providing us with excellent customer service while going above and beyond. When we have questions or last minute filings, solutions arrive promptly and professionally. We wouldn’t go anywhere else. Thank you Kristy!!!!! My stress level just dropped 100%. Thanks to you we can close. I will definitely let all parties know that C2K, you in particular are one of the reasons we will be able to close. We have been using C2K for the past ten years, and have found their customer service to be outstanding, knowledgeable, reliable and helpful. We have had a wonderful experience using their services from filing documents with the California Secretary of State and other states throughout the country. We would highly recommend using their services. Mark, You are just the BEST!!! The attorney working on this matter, Matthew (“Matt”) says the same. He says you are so efficient and how glad he is that somebody like you, with your knowledge and skills, is working with us on this. Save and take that to the personnel file!!! Please submit your name and email address to activate the file download. Thank you.